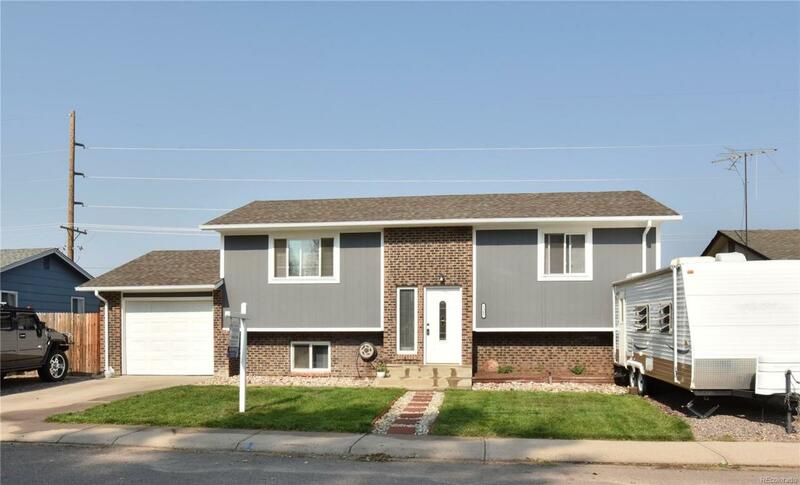 Beautiful Bi-level Home with Four Bedrooms. Brand New Carpet. Laminate Flooring and Paint throughout the house and Exterior. New Roof, Furnace and Hot Water Heater. Basement has a Privacy door that separates from the Main Home. The Upper Level boasts a Great Floor plan including Family room, Kitchen, Two Bedrooms and a Full Bathroom. Basement contains Two additional Bedrooms, Bathroom and another Family Room with Tons of extra room for Relaxing or getting away in this Garden level basement family room. Home backs to an open field with no neighbors directly to the rear and is located on Large lot with RV Parking and NO HOA!! Quiet street, huge fenced rear yard and Dog Run, tons of potential. Nothing to do but move in! !